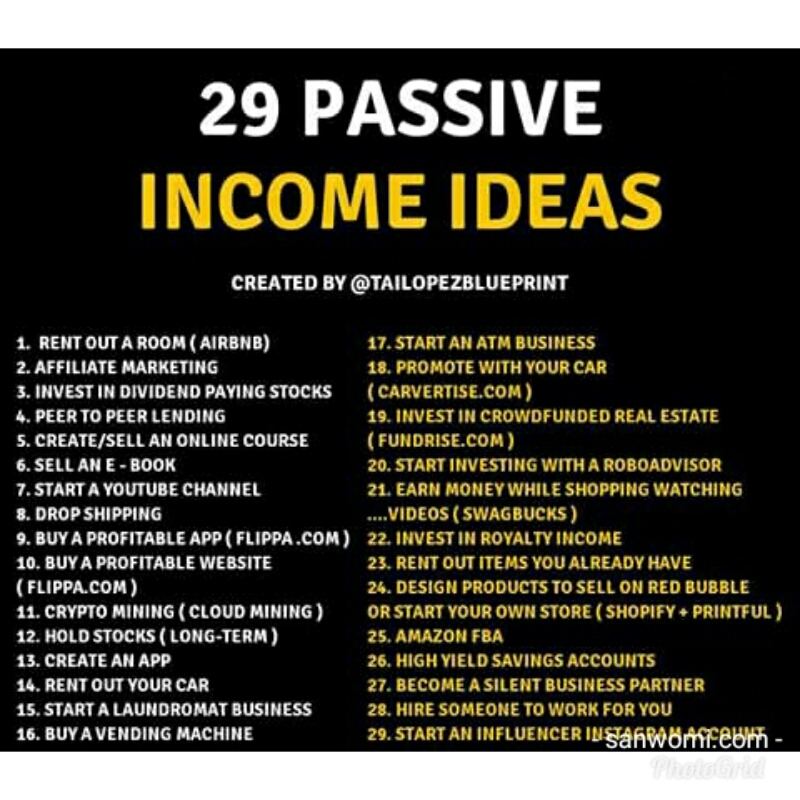 Home / Unlabelled / 29 Passive Income Ideas. 1 Rent out a room. 3 Invest in dividend paying stock. 4 Peer to peer lending. 5 Create/sell an online course. 6 Buy a profitable website(flippa.com). 7 Buy profitable app (flippa.com). 9 Start a YouTube channel. 14 Rent out your car. 15 Start a laundromat business. 16 Buy a vending machine. 17 Start an ATM business. 18 Promote with your car (carvertise.com). 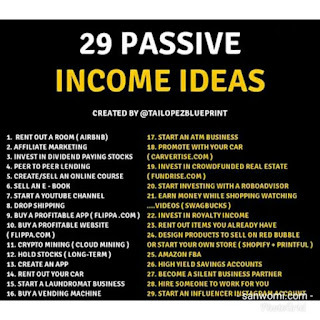 19 Invest in crowd funded real estate(fundrise.com). 20 Start with a roboadvisor. 21 Earn money while shopping watching videos (swagbucks.com). 22 Invest in royaalty income. 23 Rent out items you already have. 24 Design products to sell on red bubble or start your own store (printful + shopify). 26 High yielding savings account. 27 Become a silent business partner. 28 Hire someone to work for you. 29 Start an influencer Instagram account.